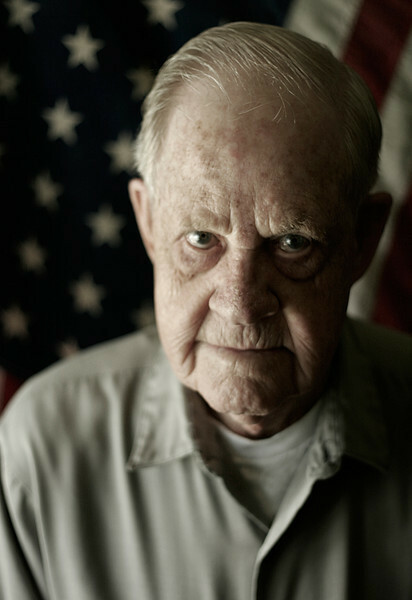 Pearl Harbor veteran Charles Hamm's American flag has only 48 stars. "This is the flag under which I served," he says. Photographed at his home in Monitor Township, Michigan.